My passion for understanding the past through early man caves, paleontology, archeology, encounters with ancient tribes with connections to the past and life origins and what matters most… these strike directly at the heart of what I find meaningful in travel. Indiana Jones wasn’t just looking for gold statues… he was looking for answers. If you’re trying to connect with the past, there really isn’t any place where you’ll find more diverse tribes in such a small area than in Ethiopia. Seriously. If you have found something more diverse and connected with the past, I’d really like to know. While the exact number is unknown, there are around 80 tribes and 86 living languages with an incredibly diverse ethnic groups living in Ethiopia. Most of the urban population belongs to the Amhara or Oromo tribes. Ethiopia is the oldest independent country in Africa and one of the oldest in the world. Ethiopia today is one of the fastest growing economies in the world, and yet has some of the best preserved untouched primitive tribal living in the world. What makes Ethiopia unique is the longevity of Ethiopia without much outside influence. Italy was trying to build an empire in Ethiopia had such a small impact, you’ll struggle to find anything Italian unless you visit Gondar where there are a few buildings that look Italian. Italians made an attempt to have Ethiopia as their share of Africa. They invaded in 1893 but were shamefully defeated by the Ethiopians to become the first European losers in a colonial war. This led to the Italy-Ethiopia war conducted in 1930’s. Ultimately Ethiopia was colonized by Italy from 1936 to 1941. Only 5 years, so you can understand how little impact would come from that. Things will change. So, going back to it. Ethiopia has a lot of primitive tribes that continue to live the way they have for thousands of years… I was anxious to visit early man, and what an incredible experience I had making so many new friends and gaining insights about ancient life. While it may seem like Ethiopia has always been the cradle of civilization it was not until 1963 that ancient hominids were discovered in Ethiopia where stone tools that were over a million years old at Kella. Since then many important finds have propelled Ethiopia to the forefront of paleontology. The oldest hominid discovered to date in Ethiopia is the 4.2 million year old Ardi found by Tim White in 1994. The most well known hominid discovery is Lucy, found in the Awash Valley of Ethiopia’s Afar region in 1974 by Donald Johanson, and is one of the most complete and best preserved, adult fossils ever uncovered. Lucy is estimated to have lived 3.2 million years ago. 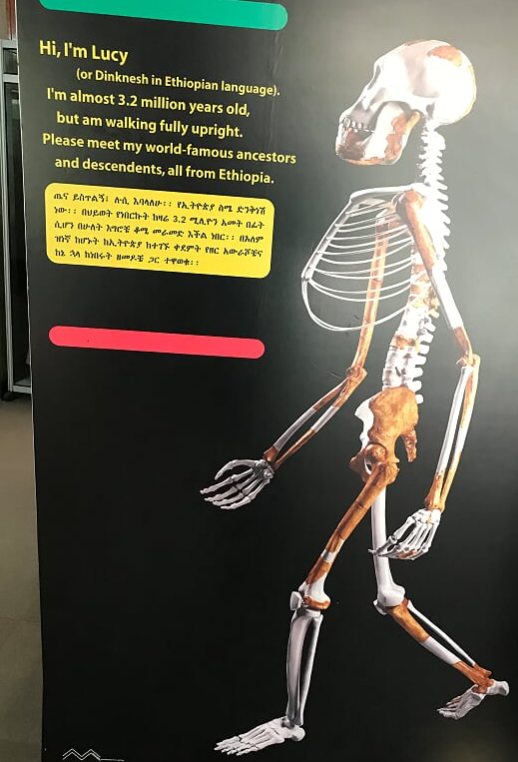 You can see Lucy and Ardi bones in the museum in Addis Ababa in the capital. There have been many other notable fossil findings in the country. Near Gona stone tools were uncovered in 1992 that were 2.52 million years old, these are the oldest such tools ever discovered anywhere in the world. In 2010 fossilized animal bones, that were 3.4 million years old were found with stone-tool-inflicted marks on them in the Lower Awash Valley by an international team, which is the oldest evidence of stone tool use ever found anywhere in the world. In 2004 fossils found near the Omo river at Kibbish at 195,000 years old, the oldest date in East Africa for modern Homo sapiens. Imagine walking around in a valley where the bones you might stumble across could be an ancient ancestor. You really don’t have to spend much time with the tribes to find their simple, but ancient traditions to be enlightening. You really don’t have to go to distant islands where you risk getting shot by arrows. 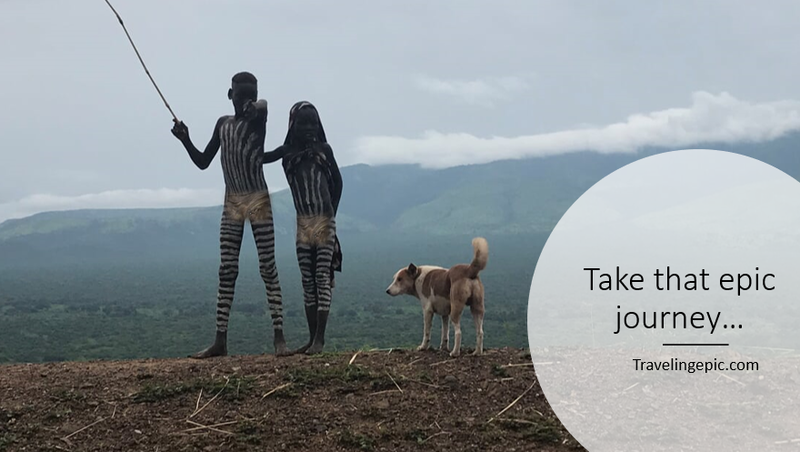 You can come to the Omo Valley, and get a guide and scout who are provided for your safety and convenience to communicate with the chief and his warriors, who are really quite friendly. Last summer I traveled to Mexico to see the Olmec heads. I was NOT expecting to see one in Addis Ababa outside the museum in Ethiopia. The National Museum of Ethiopia is worthwhile. Even in just the last few years it has gotten a lot better. It was the Lucy bones that drew me the first time, but taking my 9 year old boy to put some context in paleontology was very worthwhile. My friend Abeye who I met on a trip to Lalibella, Ethiopia 8 years earlier with his school friends. It was him and his friends who were our guides when we were trying to locate an orphanage. I had the biggest epiphany… everything you think you know about Africa is wrong. 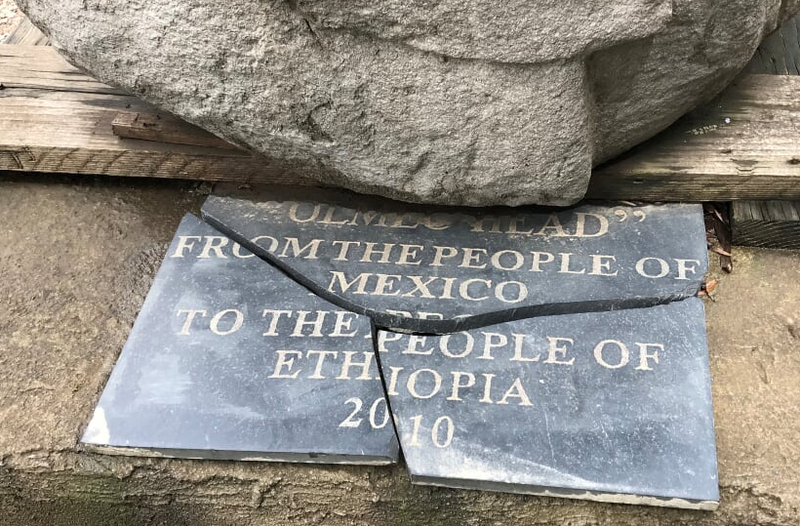 Everything you think you know about Ethiopia is also wrong. Giving money to the orphanages in Lalibela would have been a mistake. They were the only spoiled kids in the city. Who would have guessed? Instead I found a blind kid and his friend who helped us locate school supplies which we were able to distribute to as many kids as we could find. It was a life changing event. Bringing books and school supplies to a few schools along our route on our trips was a lot of fun for the whole family. Mission accomplished. My 9 year old and his cousin will never forget how they felt as they had many first contact type experiences with the kids at the markets. If you’ve never had the opportunity to be a minority, I highly recommend it. It’s important to get out of your comfort zone, and let a villager touch your freckles or softly pinch your skin and stare right through your blue eyes. You sort of feel like an alien. Imagine if everyone had the opportunity to feel like an alien. How much prejudice and bigotry would melt away to empathy? No matter how much you try to put yourself in someone else’s shoes, you will still struggle to understand how someone could put such a large plate in their lip, but if you don’t try to connect with them and imagine life in a straw hut and attempt to connect with their present and your past… to see what life might have been like 3,000 or 30,000 years ago. 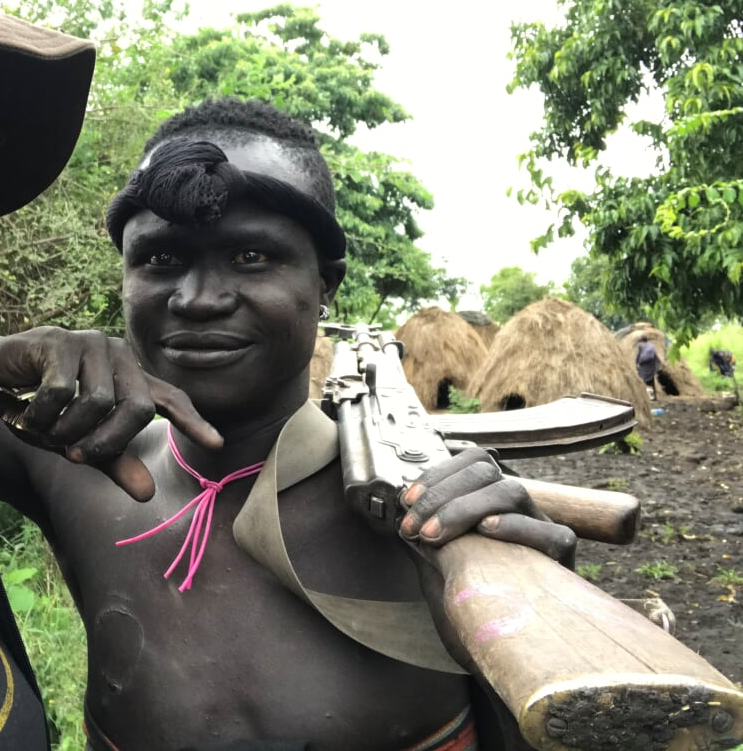 The Mursi tribe are a nomadic people known for their lip plates, they live in grass huts between the Omo River and its tributary the Mago, one of the most isolated regions of the country. They are animists. 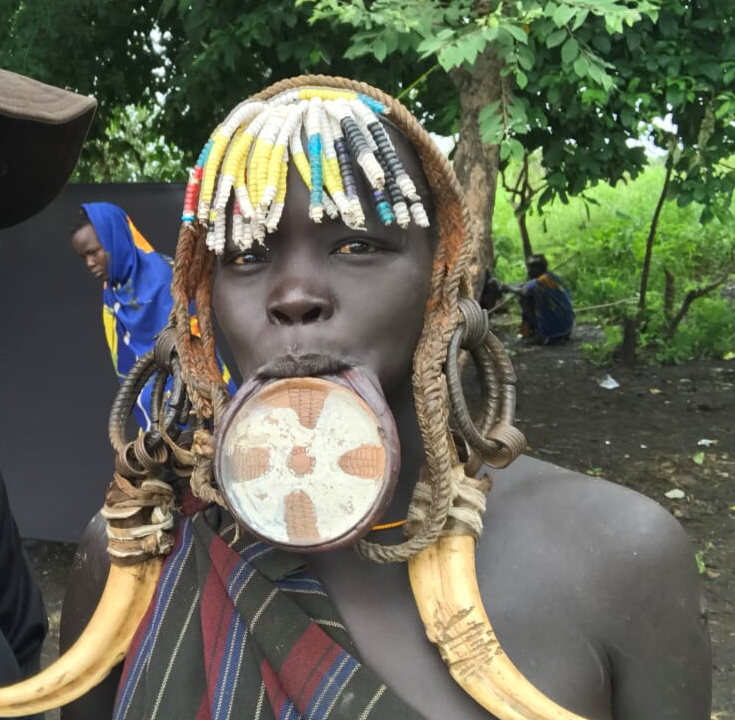 Lip plates are a well known aspect of the Mursi and Surma, who are probably the last groups in Africa amongst whom it is still the norm for women to wear large pottery, wooden discs, or plates in their lower lips. I had a great time with my new friend. We were taking selfies and could keep a straight face. After traveling 3 days to get deep into the Omo Valley I was so excited to spend time with one of the most primitive tribes in Ethiopia. Clothing optional, this tribe could construct their grass hut village in less than 24 hours. They are a nomadic tribe. As we drove by these zebra stripped kids I was struck. I was really on the edge of the planet. Our guide said, “don’t take their picture they’ll throw rocks!” It was too late. I caught this beautiful photo first. I hope it represents them well. For the most part prior to us arriving at a village there were terms on photos and we’d work it out with the chief. It’s true… sometimes they wanted money for each picture, but it was my preference to trade. If we could bring things the tribe needed, I felt a lot better…. school supplies, solar lantern, or simple toys. This pole may look like a bunch of poles lashed together, but actually this is a clock. The tribe adds a new pole to this central point in the village every generation (18 years.) Konso, this ancient UNESCO heritage village is over 400 years old. Tiya, a UNESCO site of large stones from an ancient burrial ground. No one recognizes the swords. They don’t match any on record in Ethiopia. I love it. The site is still being understood. You can be an archeologist and figure it out! The guides on site have some good ideas, but you can tell much of what they are saying is guestimates. You can compare these swords from the museum… Doesn’t look anything like it. The 1600s was a pretty exciting time in Ethiopia with the royal courts, castles, and conquests. You wouldn’t believe the history. Gondar Ethiopia where the castles are is a must for a longer trip to Ethiopia. Ancient stone churches are both in the North and in the South. Lalibella in the North has some of the best monolithic buildings in the world. The only southerly rock hewn church Adadi Mariam… It’s like visiting a cave church carved out of rock, not unlike the cave churches in Cappadocia, but those churches don’t have a holy of holies and these are all fashioned after Solomon’s temple and often have a ark of the covenant replica based on the real one… just ask them. The religion runs very deep in Ethiopia, and there’s no doubt they are from lost tribes of ancient Israel… the DNA studies and the heritage back up the stories. The stories are fantastic and rich as the countries culture. Breathtaking natural beauty outside the windows of the ancient village near Konso. This valley is coined New York for what look a vast city scape in dirt… like sky scrapers. This Mursi Warrior may look tough, and they are, but they are also very sweet. If you don’t stick to tourist food, you can try some amazing tibs. Tare tare may be a french term, but at this shop, they chop off cuts of fresh beef, seasoning optional. Strips of raw meat – Tere Sega. I LOVE Ethiopian food. It took some convincing my driver that I had an iron stomach, then I could get to the really good places where the locals eat. Tibs, Shiro, Kifto, Gomen, Doro Wat, Shiro Feces, served with a layer of Injira. Incredible markets. Tribes would come to trade or sell their vegetables or clothes. Markets aren’t every day, but on market day it’s a treat to meet those that come from far away. I did find it annoying that some local government officials thought we needed a permit to go to the market. They were persistent. Traditional ancient Konso tribal Hut. These are really the nice huts. There are much more primitive and temporary huts. The hardest working women in the world. I believe. These women spend all day looking for sticks to turn to charcoal to sell or to use as firewood to feed their families. Those wooden seats double as a pillow and are one of the few items you might find in a hut. The inside of a hut. This women was near the center of the village so she has some additional amenities. The animals live in the stone walled in village for protection. The further outer rings of the village the newer but more risky. The inside of the grass hut. Embers still warm. I ended up going back to Paradise Lodge. We loved that place. The view was incredible. So we elected for 3 nights there in Arba Minch. 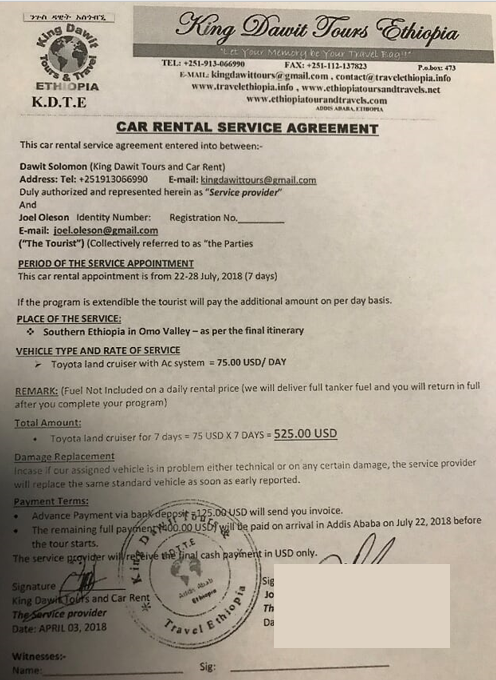 For $75 a day for $525 we had a Toyota Land Cruiser driver and vehicle for about 7 days. I felt pretty good about what I negotiated. Our driver knew the route, and while he didn’t like driving in the dark. We were able to push him to put in 12 hour days and saw an incredible amount of Southern Ethiopia on this trip. It was so great to get back to Ethiopia one of my favorite countries not only in Africa, but in the world. 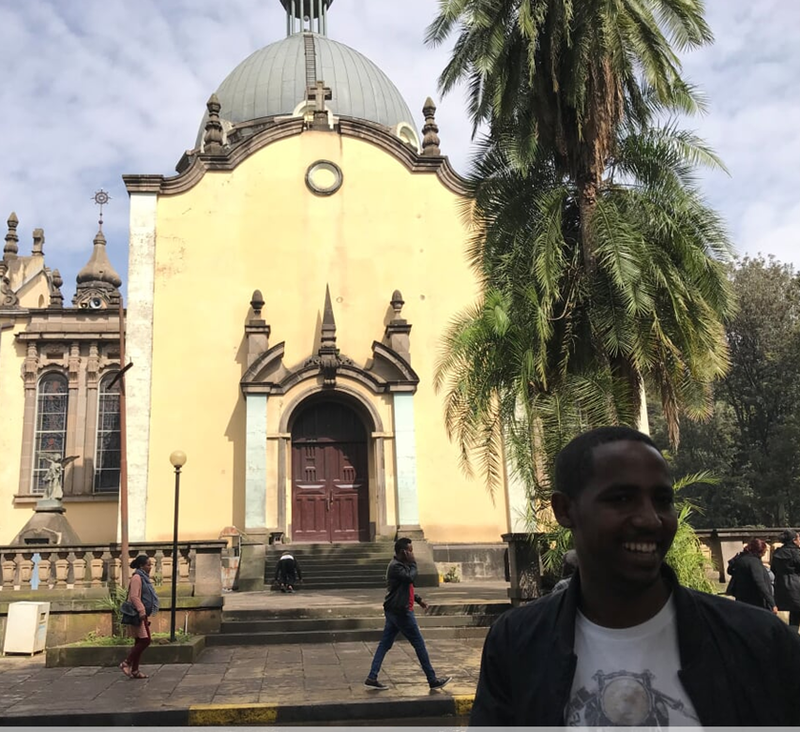 If you enjoyed this post… you might enjoy my previous post on Ethiopia on Lalibela and the Rock Hewn Churches where I first met Abeye and fell in love with ancient Ethiopia. 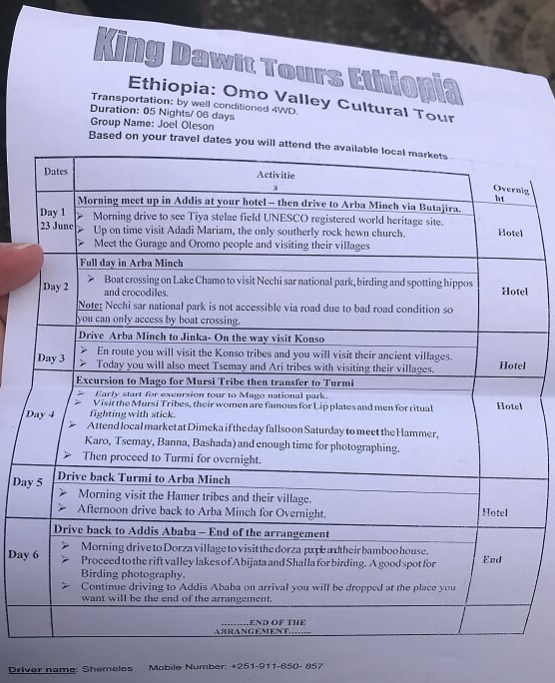 My friend Abeye is now building his own ethiopian tours. I’ve been wanting to go to Jamaica really bad. When a few of my friends were asking when we’d go, I knew I was going to be in Orlando and said why not? At first I was planning on a dive, but most of my friends that were joining weren’t divers, so instead we made this an interior trip. Why not explore the parts of the island that the tourists miss and be real travelers and go on adventures . 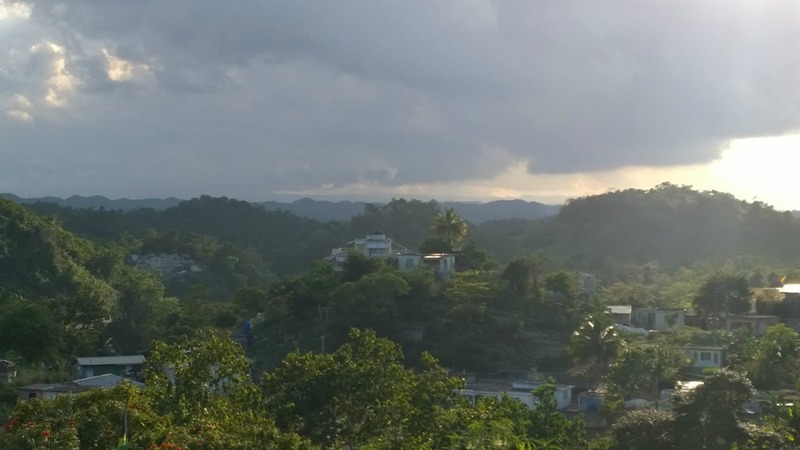 I did see a lot of Jamaica and I write about the other parts of Jamaica in my follow up post “Get all right in Jamaica”. 1. 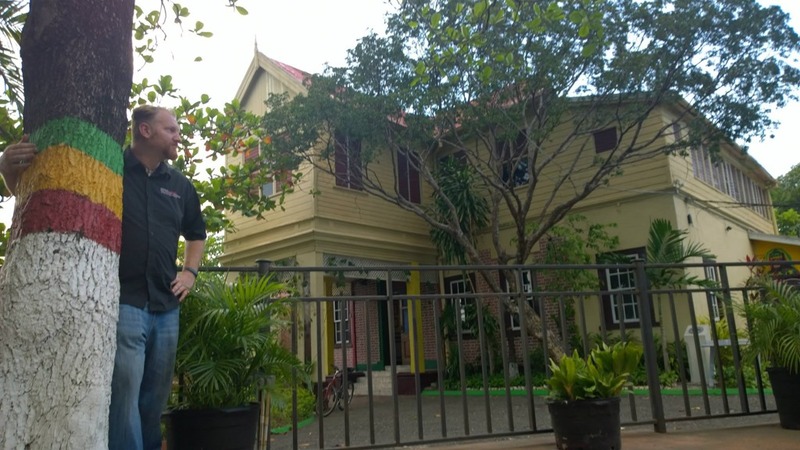 Bob Marley Experience – House and Record Label on 56 Hope Road in Kingston, Jamaica (also where the attempted assassination took place) Tour required to see the house. 3. Birthplace, Mausoleum, and first home of Bob Marley in Nine Mile, his real retreat on his grandparents land. Deep inside the island. 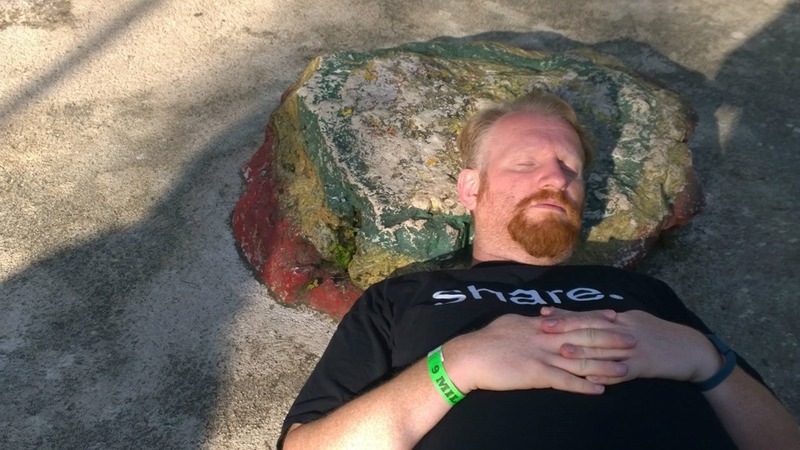 (Multi hour drive from Kingston or much closer from Ocho Rios) Tour required to get to the mausoleum. There are a few ways to see the islands of the Caribbean, and while many simply get the all inclusive resort and catch a cab or van to their particular resort with a big fence and a private beach. If they leave they are visiting a tourist attraction called an excursion where the entire path and time is laid out where very little interaction with the *real* islanders happen. This trip on the other hand was the complete opposite. While I did see a few attractions, where I drove, slept, ate, and spent my time was amongst the people. 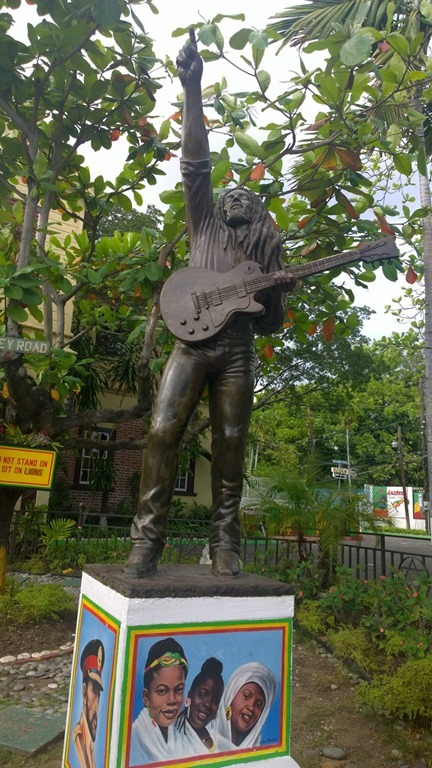 Popular Bob Marley Statue… One Love, One Life! 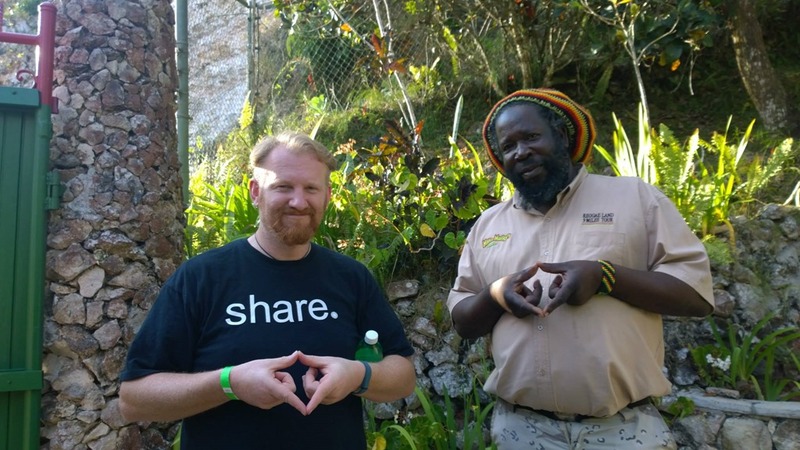 I had some great opportunities to visit the homes of Bob Marley. There are really three main areas to visit. 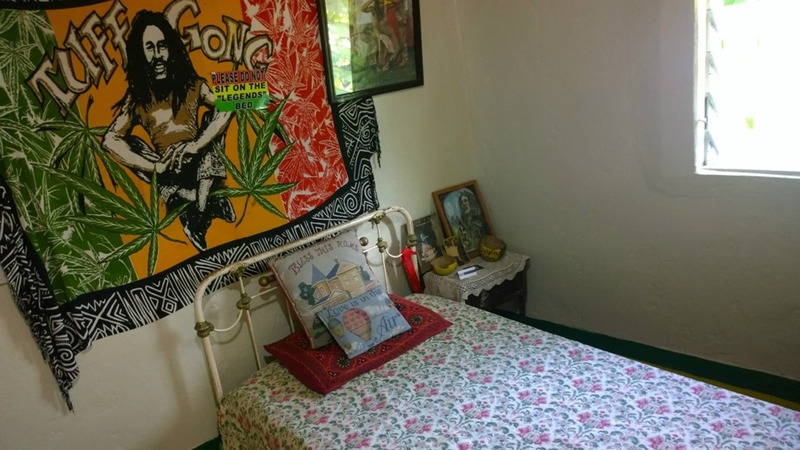 This is the house where Bob Marley lived until his attempted assassination in 1976. 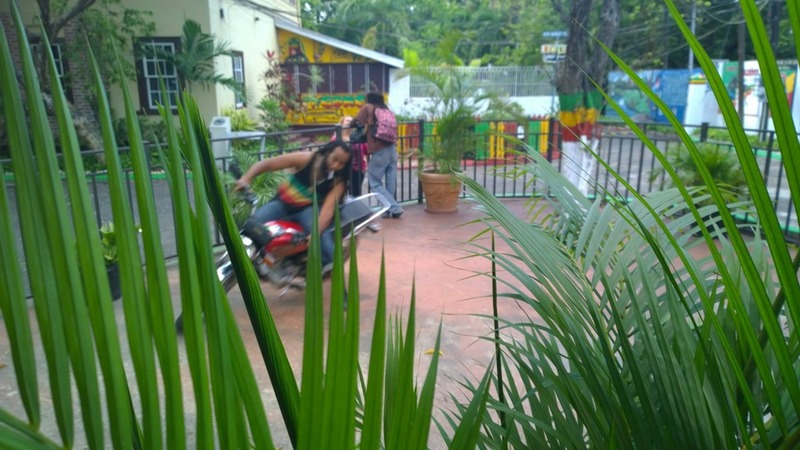 The house is now known as the Bob Marley Museum in Kingston, Jamaica dedicated to the reggae musician Bob Marley. 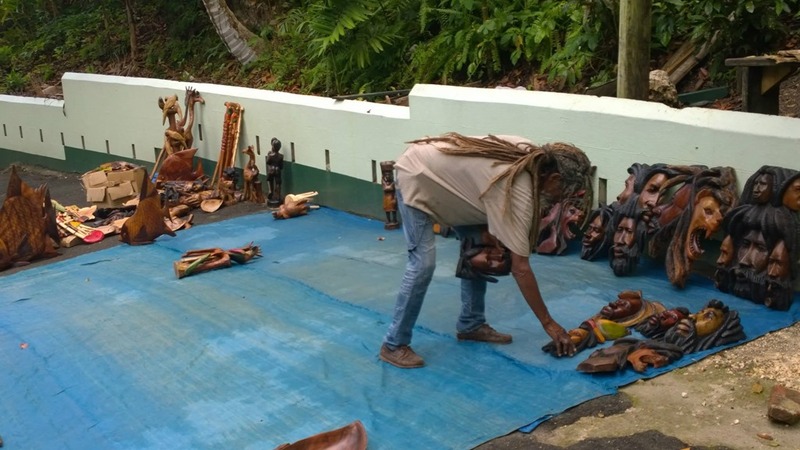 The museum is located at 56 Hope Road, Kingston 6, and is Bob Marley’s former place of residence at his peak. 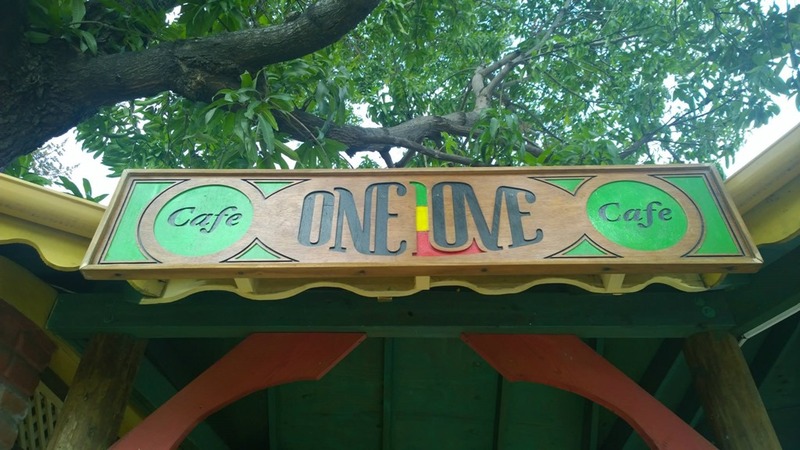 It was home to the Tuff Gong record label which was founded by The Wailers in 1970. They don’t allow any pictures to be taken inside the home, but there’s a great collection of the news, records, and history. The guide takes you from room to room giving you history about Bob Marley and his success concluding in the theatre where they show a number of music videos and you get to listen to his music as it evolved over time. 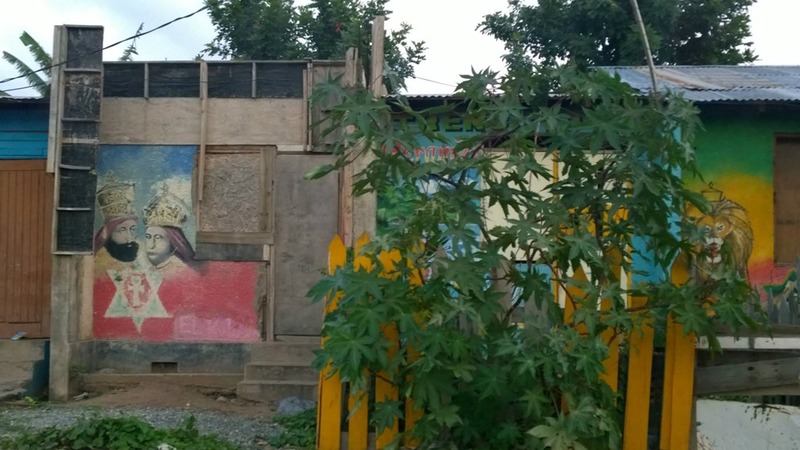 Trench Town, Kingston Culture Yard – Birthplace of Reggae and where Bob Marley learned to play guitar – Not a place some tourists will want to drive by themselves. But for the adventurous traveler you’ll find a poor part of Kingston where the cement is the walls, floors, and many live in small spaces. The place itself has a rough history. 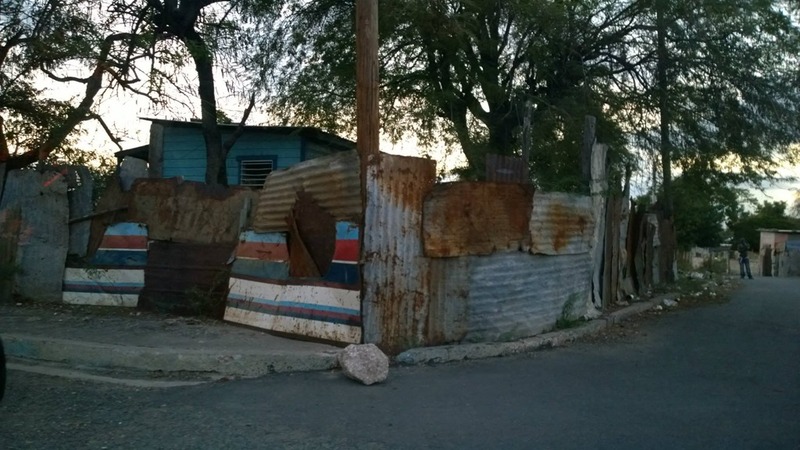 Bob Marley’s mom moved to Trench town, a poor but cultural part of Kingston a few streets up from the Culture yard. 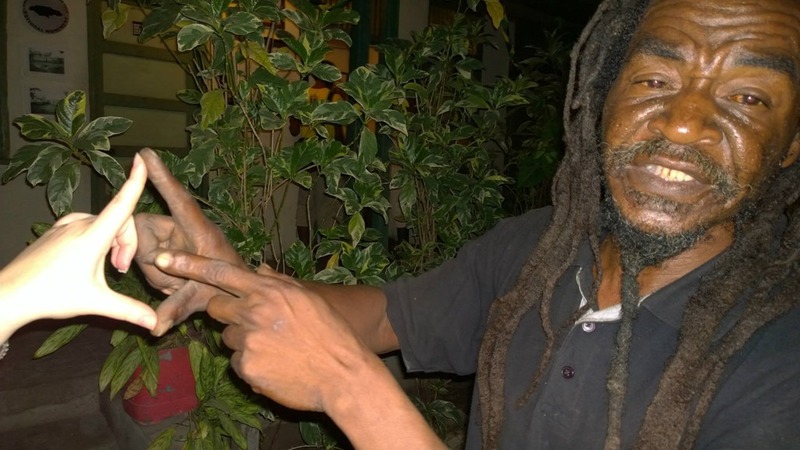 Bob moved to Trench town when he was 12 and wanted to stay on first street. 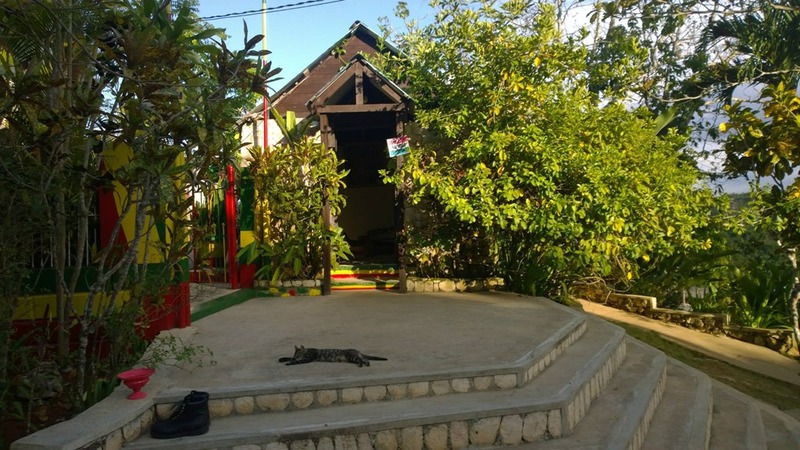 Today Trench Town boasts the Trench Town Culture Yard Museum, a visitor friendly National Heritage Site presenting the unique history and contribution of Trench Town to Jamaica. 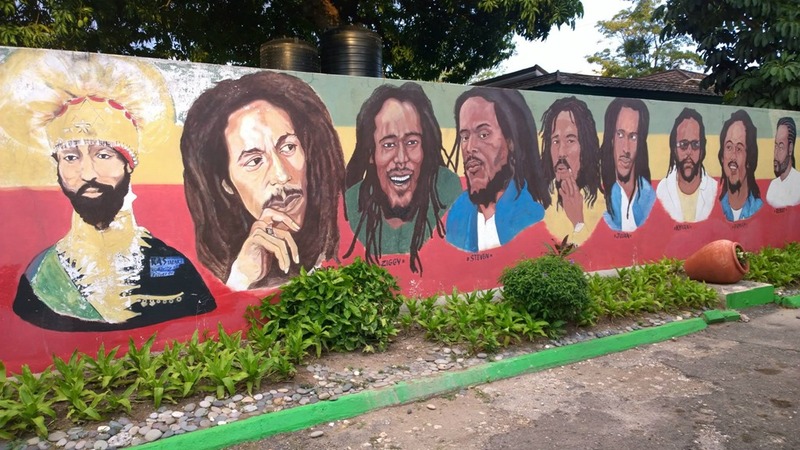 Trench Town is the birthplace of rocksteady and reggae music, as well as the home of reggae and Rastafari ambassador and prophet Bob Marley. 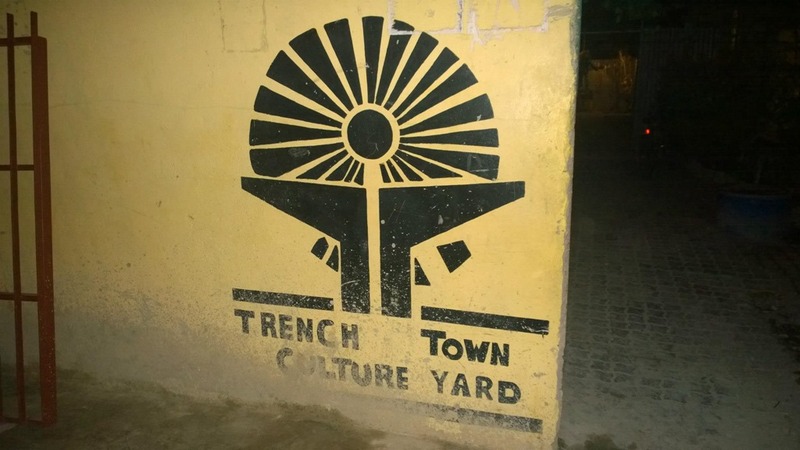 Trench Town Culture Yard… birthplace of Reggae and where Bob Marley ran away from home and learned to play guitar. There you can see his first guitar and see his room. 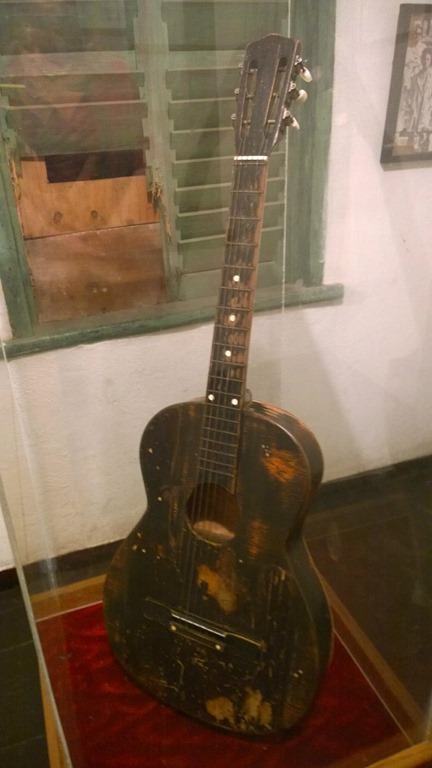 Left: Bob’s first guitar. 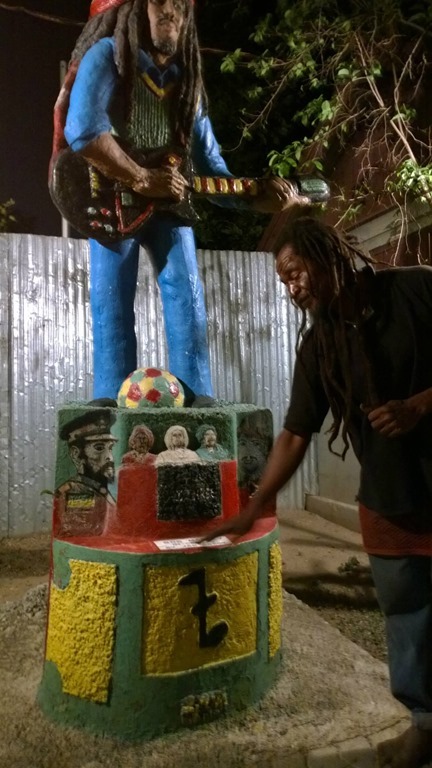 Right: Statue of Bob Marley in the Culture Yard. 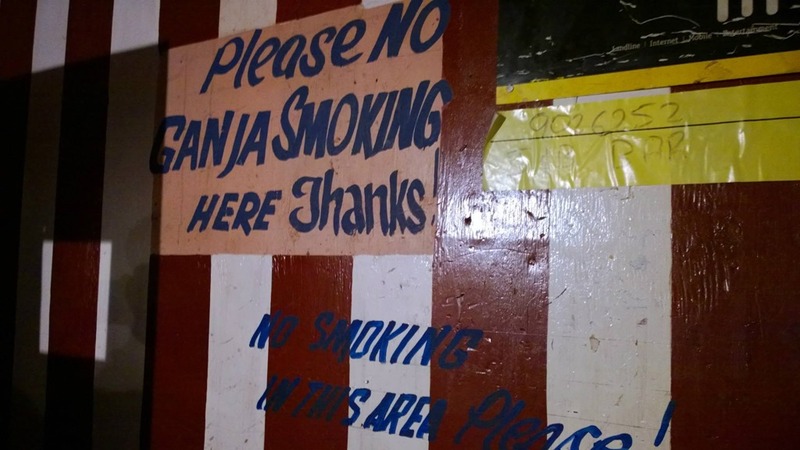 Out in Ocho Rios the Ganja smoking is not welcome in some areas, but you can find people who can get you whatever your heart desires. There are many plants all over the island. This weed seems to spring up everywhere. I can’t say I tried any, but I did see a few plants and was offered much of the Reggae sacrament. 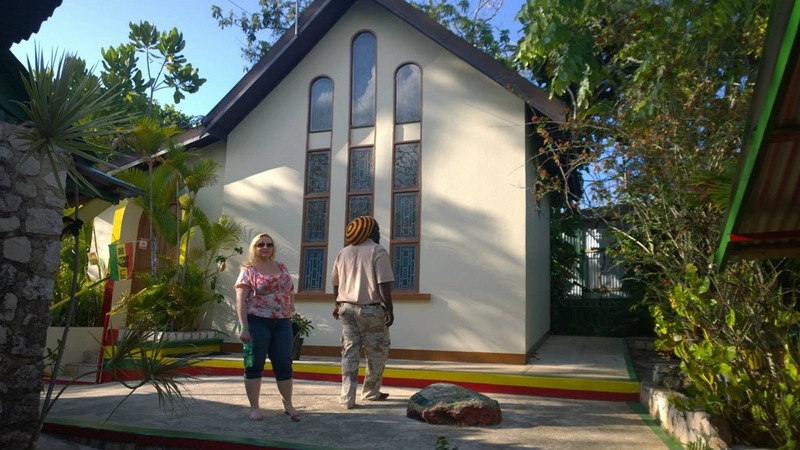 Bob Marley Mausoleum, Resting Place, Birth Place and first home in Nine Mile. 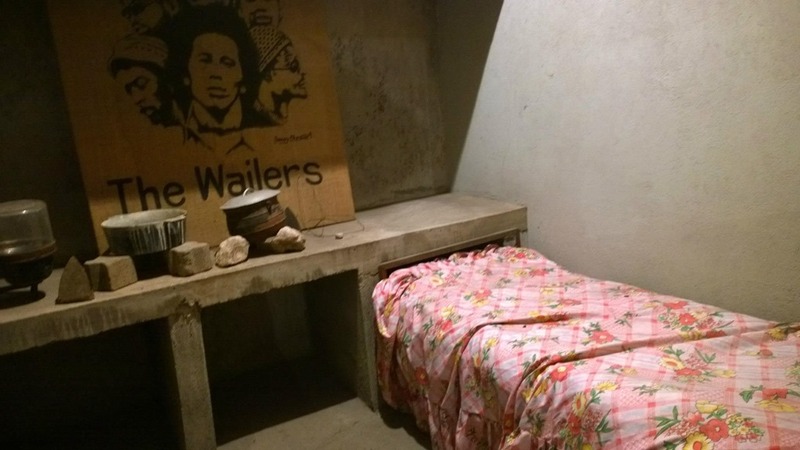 Bob Marley’s home where he grew started his life on his grandparents property. The mausoleum in Nine Mile (deep in the island) contains family members on his mothers side of the family. While I couldn’t sit on the bed, I was offered the rock which was where many songs of inspiration came to the Bob. I had an incredible time on the island. I’ll follow up this post with the non Bob Marley things I saw, but felt like the Reggae experience was worth a post alone. I hope this post can stand as a reference that there’s a lot to see to better understand the great legend of Bob Marley, one of the most influential singers of the decade a man taken before his prime. The landscape in 9 mile is beautiful. In my opinion it’s worth the drive. You get to see a very different part of the island and if you can find a way to relax with the people… I recommend slowing it down and listening to the music. Don’t be so afraid to leave your resort. Jamaica is amazing! In my search for the origins of Reggae I found Marcus Garvey and read all about Haile Salasie I, then looked up more quotes on his rein. 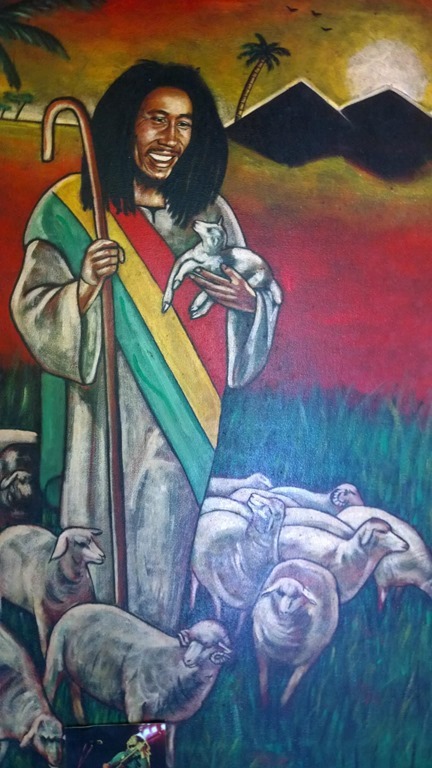 You can also get a lot more history of Bob Marley with tons more detail on Wikipedia. When you think of Ethiopia you think of impoverished people where 3/4ths of the country live on less than $1 a day. When I first came across the fact that not only there were castles Ethiopia, but a vast Kingdom that rivals the Kingdoms of Europe and was larger than the greatest kingdoms of the world, I was blown away. Ethiopia has quickly become one of my favorite places in Africa. In fact what I’d discover was wild stories of King Solomon of Jerusalem of the famous Temple of Solomon and his many wife’s including the Queen Sheba whose kingdom is believed to have been in modern Ethiopia and Yemen. The more Kebra Nagast I read the more I was fascinated and even becoming convinced of the connection between Ethiopia and the old Judean kingdom. In Ethiopia you can’t separate religion and these vast kingdoms. As a Kingdom there are strong Judean traditions and Christian influences and is the first Christian Kingdom. If you read the Ethiopian scriptures you’ll find the marriage and first born son of Solomon and the connection to Sheba and her son Menelik. The Aksumite Obelisks marked the reign of the old kingdoms. One of them was taken by Italy and then returned in 2005. Imagine if England and France returned the obelisks from Egypt? I know the Paris one was for a trade for a clock that never really worked. The Empire of Aksum at its height extended across most of present-day Eritrea, Ethiopia, Western Yemen, southern Saudi Arabia and Sudan. The capital city of the empire was Aksum, now in northern Ethiopia. It was known as one of the four great powers of his time along with Persia, Rome, and China. Right: St. Mary’s church which contains the Arc of the Covenant behind the curtain in the Holy of Holies according to the Ethiopian Coptic church. They wouldn’t let us go back there. Instead they wanted to show us their old colorful Holy Book or Bible. The Aksum empire achieved prominence by the 1st century AD, and was a major player in the commerce between the Roman Empire and Ancient India. Aksum’s capital is found in northern Ethiopia in modern Axum which is now smaller than it once was. The Kingdom used the name “Ethiopia” as early as the 4th century. It is also the alleged resting place of the Ark of the Covenant and the purported home of the Queen of Sheba. The Solomonic Dynamisty claim direct male line descent from the old Axumite royal house. Menelik II, and later his daughter Zewditu, claim direct male descent from King Solomon and the Queen of Sheba. 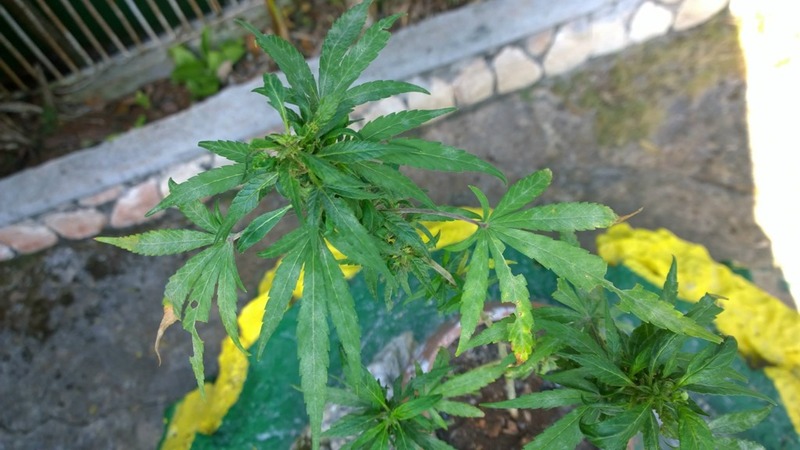 The importance of this is very significant for Rastafarians and much of Ethopia. The last emperor of Ethiopia born Tafari Makonnen Woldemikael, known as Haile Selassie I was Emperor of Ethopia from 1930 to 1974. He was the heir to a dynasty that traced its origins by tradition from King Solomon and Queen Makeda, Empress of Axum known in the Abrahamic tradition as the Queen of Sheba. I took this picture of Emperor Fasilides (1603-1667) Castle in Gondar, which was one of the best preserved of the many castles in a small area in the city of Gondar. Here Paul and I were messing around amongst the castles. We were a little surprised to find a heard of donkeys running down the road. The castles are on the other side of the rock wall. These cool Banyan roots remind me of Cambodia. Below: Coffee Ceremony. Coffee is originated in Ethiopia. If you love coffee I highly recommend the personal roasted coffee bean ceremonial experience. I’m not much for coffee being LDS, but my friend Paul must have tried it a half dozen times and loved every one of them. Fasiladas’ bath – created by Fasilidas back in the 16h century. It’s a beautiful place where they perform baptisms. Timket – Once a year the Ethiopian church celebrates the baptism of Jesus in the Jordan river on January 19 (or 20 on Leap Year), corresponding to the 10th day of Terr following the Ethiopian calendar. Below: This blue house appears made of dung and this fabulous blue color. Below the ancient kingdom of Yeha even older than Axum as the capital for Ethiopia and has the oldest building in Ethiopia dated to somewhere around 700 BC. We were definitely out of place in this little village. If you really want to see people who rarely see outsiders this is a great place. The Monastery of Debre Damo is on a flat-topped mountain with and contains a 6th century monastery available only to men. While on top of this plateau you can see hills and landscape in Sudan and Eritrea. It’s a real treat for multiple reasons. The only entry is via a rope made of animal hides that’s dropped. You tie one it around you and start climbing up the other animal rope. It’s an incredible experience climbing up 100 foot cliff straight up. If you visit Axum Ethiopia it’s a short 2-3 hours through an amazing countryside ride. Yeha is less than a half hour away. We were able to see much of Axum in the morning and make it out to the amazing unique monastery. In our world there are few places shrouded with as much mystery, culture, and history as Lalibela the second holiest place in Ethiopia. Designated as the 8th wonder of the world, and a UNESCO world heritage site. These rock hewn churches made in the 16th century are an ancient treasure built by Angels. 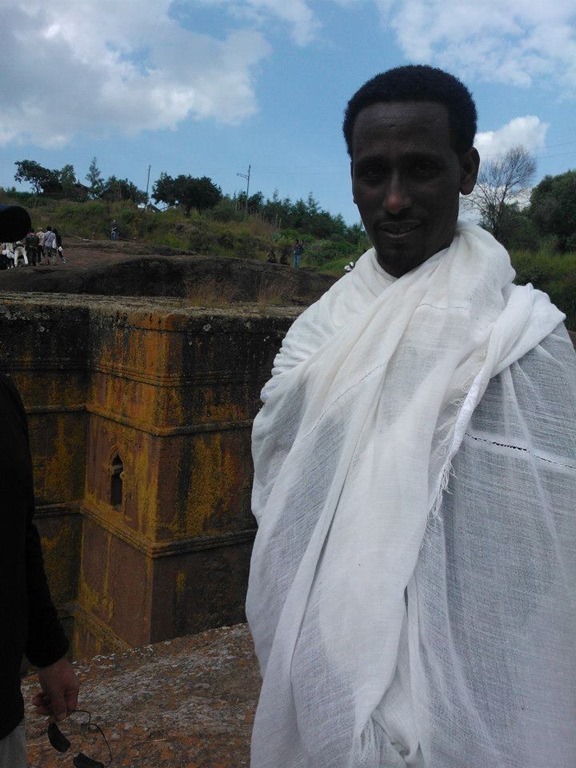 Lalibela starts with the story of a King that as a baby was shrouded in bees. The bees weren’t bees at all, but angels. The angels took him up to heaven and showed him how to make tools and how to carve churches from rock. The story doesn’t end there. King Lalibela shared the ideas of the tools that were ahead of their time, and the humans took the day shift and the angels took the night shift and together they built amazing churches that are built with deep symbols of early Christianity. Rather than pilgrimage to Jerusalem at a time when the Christians had been kept from safely visiting Jerusalem and the other holy sites of Bethlehem, Jerusalem, and the life of Jesus. Narrow valleys carved into the rock can take you from church to church, each with it’s own story. The largest megalithic church in the world is found among the 11 rock hewn churches in Lalibela. All of them are within a couple of miles, and easy walking distance. You can easily spend a day or two. Loyal Christian orthodox priests act as guides for a negotiated price. I was trying to explain that these churches were a lot like the church caves in Cappadocia, but our guide wouldn’t have it. These were literally carved by Angels. It was great to have a guide who was so loyal. At lunch we stopped at a little place. We were told it was Friday and so we couldn’t order the lamb. It’s fasting day. So we ordered the fasting food. The Ethiopian fasting food is made up of various veggies. The food is designed to be eaten with your hands and is designed to be a social family experience. Beets, potatoes, lentils, cabbage, tomatoes, amazing food. It’s served on a traditional injera which is not only edible, but is how you eat the food. Rip off some injera and wrap it around whatever you’d like. Sometimes it comes in a roll so you can rip off a little and have plenty to eat a nice big pile of food. There really is a lot of variety in the food, served on large platters. Ethopian food really grew on me. I had some in Zanzibar and a few years ago in Capetown. It’s really a fun food. Ahead of time I did a little research and came across the Tukul village hotel. I *really* enjoyed it. They were cheap enough, around $50-60 that both Paul and I got our own rooms. The nicest rooms in town. We had hot water 24×7, plenty of power, and free wifi and it almost reached to our room. I say 24×7 cause some say they have hot water, but it’s only on in the morning. One also said they had wifi, but it was a hard wire in a room behind reception. Across Ethiopia this was our favorite city and favorite hotel. The rock churches were about a mile or two walk from the hotel. When we’d walk around, a group of kids that would grow as we’d walk would tell us stories about their lives. They were from the countryside. In a sort of boarding type situation. Groups of kids put together sharing a room. Most, basically all, don’t have money. 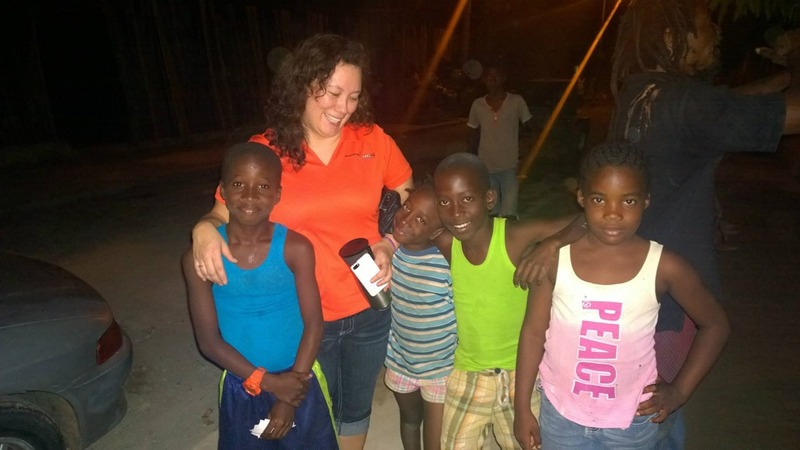 Part of the story you hear from the kids is that they are going to school and need supplies. Notebook, dictionary, and more. If you’re around long enough you hear about how they are months back in rent and will get kicked out of their place. Some don’t have shoes. In some places I wouldn’t believe the stories, but I was convinced. After a day of walking through the rock churches, I overheard some amazing traditional music and as we got closer found what looked like the whole of the 15,000 of the village gathered to watch the dancing in a festival. I was offered a prime seat, but instead found a spot next to some young kids. One of the children was a blind boy, and his faithful friends who he held onto, one behind and one in front. They filled me into what was going on. None of them had parents around… they too were from the countryside and were here in Lalibela for school. They told me about their need for notebooks and that they would struggle without them. After hearing the price and seeing the sincerity I walked with the boys to the little store and purchased a pack of 10 notebooks which they shared. Word got around, and we saw some kids that we’d seen earlier in the day, so we went back and decided we’d buy them out. 70 more notebooks, but this time the story was more sincere. The 3 of us will share. Ok. I’ll get a notebook for all the children, there can’t be more than 70 around here. I was warned by one of the older children that the kids will fight over the books. Paul and I weren’t sure how to take the advice we were given of giving him all the books and have him distribute them. Images of him running off, or only giving books to the older kids concerned me. We gave him a pack of 10 and committed him to promising to share. Then another and another and then Paul and I each took 10 or 20 to distribute to the growing crowd of children. To my surprise, it was as if we were handing out food to a starving crowd who hadn’t seen food in ages. Fights broke out, emotions ran high, as older kids pushed and little kids tried to find a way to get close to us. I was nearly in tears as I saw the thirst. As I saw one notebook ripped to shreds I put the rest under my shirt and said no! I wasn’t going to waste these. The needs were too great. We were beyond sincerity. This meant their ability to learn. One child then explained to me that 3 kids could share one book. I appreciated his willingness to share and gave him a book. Another tried to line up and smile. Those that were surrounding me reminded me of what I had seen earlier in the evening before all the amazing cultural dancing. It totally reminds me of chickens fighting. At the beginning of the festival a sort of sacrament or communion moment was happening. It was loaves and fishes Ethiopian style. A large platter with a large loaf of bread was split among the elders of the group, then to the guests like myself and other adults. I shared my ripped off piece with the blind child and his friends, really felt the spirit of what was going on, that is until it never made it’s way to the children, and others were chastised for grabbing at the loaf of bread. I needed to find a way to distribute the books in a way that wouldn’t result in ripped up pages. As I walked away to see how Paul was doing I secretly pulled out a book at a time with no one looking and gave it to the children who seemed heart broken. It really lit them up. Paul had given out his books and had a similar experience of kids fighting over them. We were both really shaken by the experience and knew we’d never forget it. Paul vowed to buy a dictionary, which he did, and ended up giving away wads of local currency to the children we walked with. Hoping that they could buy some shoes for the boy with no shoes. We don’t know how it worked out, and if the dictionary purchase was a ploy. That one to me did seem that way me, but we both hope that it ultimately would be used for good. Lalibela is in my top places of the world. It has has special place in my heart. I was only there for a couple of days, but it did change me. It also makes me consider the wonders of our modern world and make me wonder what we’re contributing to our future. How will they judge us based on our megalithic buildings propped up around economics. These walls will fall much sooner than those in this little town of Lalibela, Ethiopia and they won’t mean as much as these either.